Shopping for the best mattress to meet your own sleep needs is not necessarily the easiest task. With so many brands claiming to carry the “best mattress,” it can be hard to determine which one is the best for you. In your search, you probably read or heard about the Casper brand. Known for their witty commercials and quality beds, this brand is becoming one of the most well-known online mattress brands in the industry. 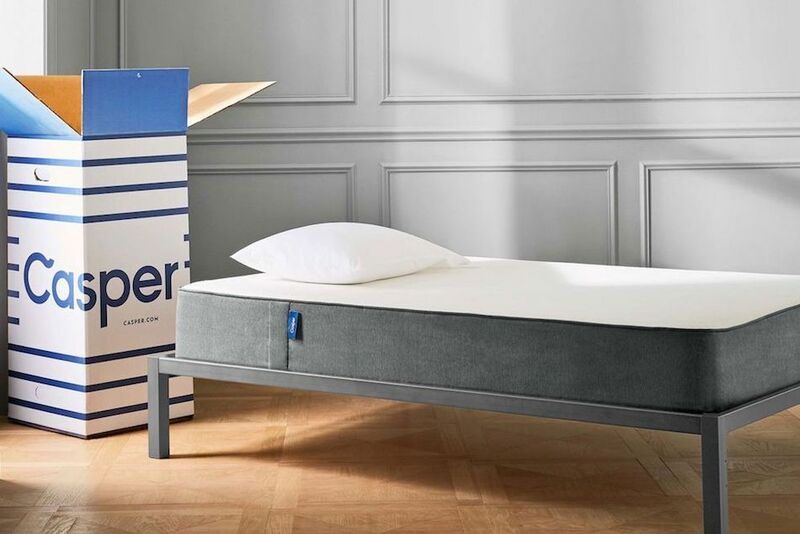 In this guide, we’ll discuss the Casper brand, the mattresses they carry, the materials they’re made from, and, at the end, we’ll touch on Casper mattress reviews. 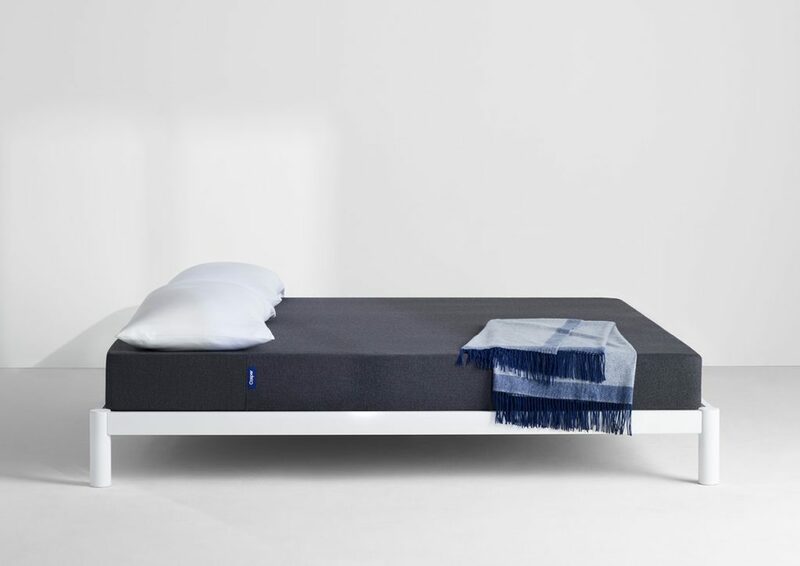 Casper Sleep, commonly known as Casper, hit the market in early 2014. Though they were new to the industry, they hit the ground running, selling a million dollars worth of products in only 28 days. Four years later, and Casper is a $500 million+ company. Casper is headquartered in New York City, where they have a storefront that customers can come and try their products. In recent years, Casper has opened storefronts in a few select states, but in order to reach a wider market, Casper partnered with Target. Now, you can find a Casper mattress at almost any Target store nationwide. 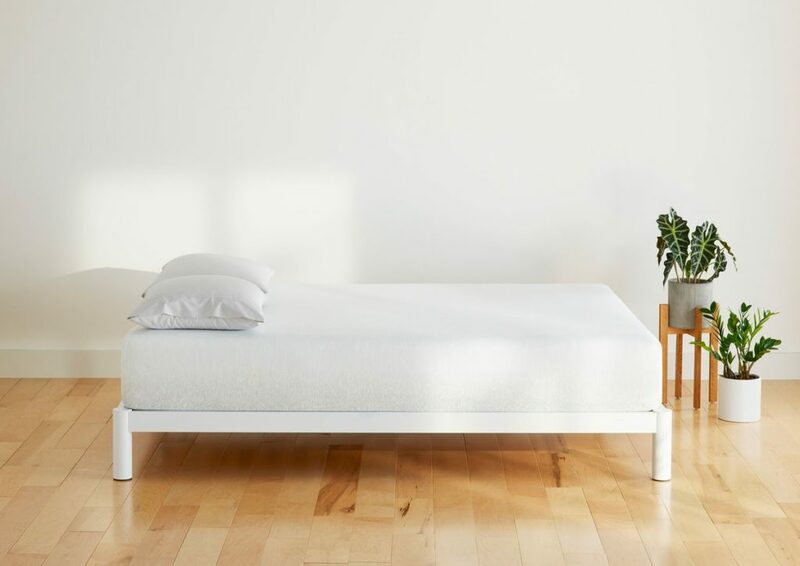 The Casper brand entered the market at an opportune time and was one of the first direct-to-consumer mattress brands out there. By deciding to sell online and ship their mattresses direct to customers in an easy-to-transport box, they changed the way people shop for mattresses. At first, they sold one mattress, the Casper, designed to offer universal comfort and be a good choice for the majority of sleepers. Their business model made buying mattresses easier; no more driving store to store to test mattresses among a sea of salespeople, no more guessing which mattress is right, and no more hassle of transporting a heavy mattress from the showroom to your bedroom. The fast success Casper experienced led to more investors and innovative expansion. In the next years, Casper started designing and selling other bedroom accessories, such as a bedroom glow light, nightstands, bed frames, sheets, duvets, dog beds, and more. They also expanded upon their mattress collection, offering two more models— the Wave and the Essential. Now, they’re a one-stop-shop for all your sleep needs. Staying true to their roots, Casper manufactures all of its products on the east coast, specifically in Pennsylvania and Georgia. Furthermore, all of their beds are CertiPUR-US certified, meaning, they’re free from harsh chemicals and low on VOC’s. As we noted above, Casper sells three all-foam mattresses: the Casper, the Wave, and the Essential. In this section, we’ll be breaking down each mattress layer by layer. The original Casper mattress contains four all-foam layers: a poly-foam comfort layer, a pressure-relieving memory foam layer, a poly-foam support layer, and a durable poly-foam core layer. On the Casper website, they advertise this model as their best seller. The cover of the Casper is a blend of polyester, lycra, and spandex designed to be stretchy and easily removable. The first layer of the mattress is latex-like poly-foam, designed to give the surface of the mattress a bit of bounce. Latex is a very responsive material; unlike memory foam which cradles your body, latex lifts your body to provide support and relieve tension. Though this layer is not actually made from genuine latex, the poly-foam used in this layer is designed to work in the same way latex would. Next, is a layer of memory foam in place to contour to the curves of your body and provide pressure relief. The third layer of the Caper is the zoned support layer made from poly-foam. Where your body needs more support, this poly-foam is firmer and where your body needs more comfort, this poly-foam is softer. The core of the mattress is made from high-density poly-foam to provide durable structural support for the mattress. Standing at 10 inches tall, this bed is a bit thin for having four layers, meaning it should feel a bit firmer. Customer reviews mention it feels medium to medium-firm, which makes sense for a bed designed to offer universal comfort, as a medium mattress should offer an even balance of comfort and support. Additionally, the best mattress for back sleepers is usually medium-firm. 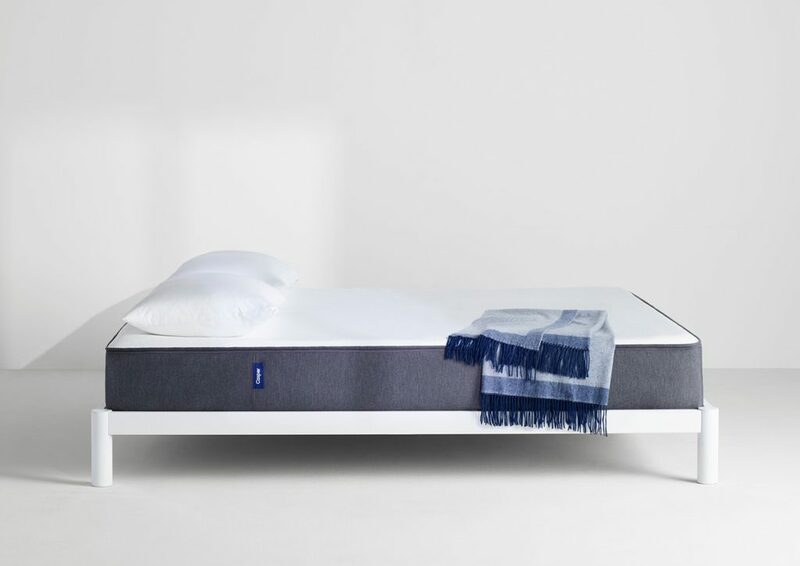 The Wave is Casper’s more lavish model, and is advertised on their site as having, “luxurious comfort and targeted ergonomic support.” Standing at 11.5 inches tall, this mattress contains five all-foam layers and is categorized as having medium firmness. This model also has a new and improved humidity-fighting cover, designed to keep you cool throughout the night. The cover of the Wave mattress is a blend of polyester, rayon, and wool. Wool makes this cover truly humidity-fighting, as it acts to wick away moisture and prevent you from heating up at night. Rayon is a breathable material, by using rayon in the cover, it reduces the risk of heat being trapped in the material. The first layer of the Wave is 1 inch of Comfort Flo foam, made from poly-foam. This proprietary poly-foam is designed to feel light and airy, so it will provide more comfort than support. The second layer is latex foam. Latex foam is more responsive than poly-foam or memory foam, so you can expect this layer to provide excellent support and prevent you from sinking too far into the bed. Latex foam is also quite breathable, meaning this layer should help dissipate heat out of the mattress. Next, comes a layer of memory foam; this layer should contour to your body to relieve pressure and tension. Unlike a lot of other foam beds, Casper includes their memory foam layer in the middle of the mattress. Why? A big concern with memory foam is its tendency to trap heat. By using a more breathable material above the memory foam, Casper is reducing the risk of this mattress retaining hot air. The fourth layer of this mattress is gel-infused poly-foam. The idea behind including gel in the design of this bed is to offer zoned support throughout the mattress. In the specific areas they’ve infused gel, the mattress is supposed to be firmer. This layer is similar to the Zoned Support layer of the Casper model mentioned above; it provides firmness where you need support and comfort where you want to sink in. The core of the Wave model is high-density poly-foam cut with contoured channels. These contoured channels offer additional zoned support, allowing your shoulders and hips to sink in. The additional zoned support in this bed also helps to promote your spine’s natural alignment. The Casper Essential mattress is their most basic model, having only 3 all-foam layers. It’s designed to be an “introduction to Casper comfort”, providing you with the “essentials” you need from a bed— a comfort layer, a support layer, and a durable base. This model stands at only 8.5 inches tall, meaning it is on the firmer side. The cover of the Essential is 100% polyester, meant to be durable, soft, and breathable. The first layer of this mattress is 2 inches of poly-foam, soft enough to allow you to sink into the bed but responsive enough to prevent you from feeling stuck in your mattress. The next layer is 1 inch of memory foam which functions to contour to your body and relieve pressure points. The base of the mattress is high-density poly foam, designed to support the mattress layers and sleeper above. For this article, we’ll be basing our price points on Queen sizes. The original Casper mattress costs $995. The Wave model costs $2,250. The Essential bed costs $600. All Casper mattresses come with free shipping. They also offer free in-home set up within the contingent United States. It’s also important to mention, Casper frequently runs mattress sales on their website discounting their products. Keeping an eye on their site and waiting for a promotion to make your purchase could save you a couple of bucks. Every Casper mattress comes with a 100-night sleep trial, giving you the opportunity to test your new bed in the comfort of your own home. If you decide at any point during the sleep trial your new Casper bed is not the best fit for your sleep needs, you have the option to return it. In addition to offering free shipping, Casper also offers free returns. In the event of a return, Casper will send a courier to your house to pick up your unwanted mattress and have it donated or recycled locally, taking all the hassle out of returning a mattress. After the sleep trial is over, your Casper bed is backed by a 10-year limited warranty. If Casper deems your mattress defective in the first decade of ownership, they’ll either repair or replace your mattress at no charge to you. If they do decide to repair it, Casper will send someone to your house to pick up the mattress and deliver it to them. When they’re done repairing it, they’ll then deliver it back to you. To be considered to have a defect, your mattress must be showing an indentation of at least 1 inch or cracks or splits in the material of the mattress. The cover is also protected by the warranty. If you find any defects in the assembly of the zipper, Casper will send you a new one. While all of Casper’s mattresses are made from foam, they all are designed to have different feels and provide different sleeping environments. The Wave is designed to offer a luxurious feel, the Casper is designed to offer even support and comfort, and lastly, the Essential has a more streamlined, supportive feel. All in all, Casper receives glowing reviews from its customers. Not only do these reviews mention how much they enjoy their new mattress but they also touch upon Casper’s superb customer service. When making any investment into your sleep, it’s important to know who you’re buying from is going to be responsive and helpful in putting you in the best bed for your sleep needs. Casper goes above and beyond by offering free shipping, free returns, free transportation in the event of a warranty claim, and is usually very responsive. Instead of calling and waiting on hold, you’re able to reach Casper with a simple text message. Convenient. Customer reviews of Casper beds mention they sleep cool and quiet, they also mention these beds transfer virtually no motion— making them an ideal choice for someone who shares the bed with a restless sleeper. Casper mattresses, given their height and firmness, may be better suited for stomach and back sleepers. If you tend to be a side sleeper, you may opt for a different brand, because as we discovered in our search for the best mattress for side sleepers, a good amount of cushion is necessary for optimal comfort. We hope this guide has helped you decide whether or not your next bed should be a Casper. If you’re still searching, read our other mattress reviews to learn about other mattresses on the market.